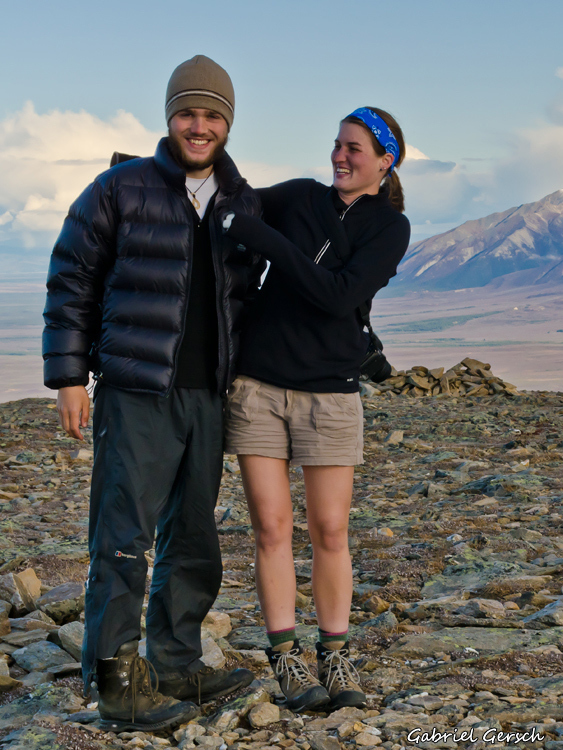 I am co-founder and lead guide of Freedom Trips, a guiding business that offers wilderness expeditions in Alaska. For Freedom Trips, I guide hiking, packrafting and base camping trips; also I teach educational courses such as packrafting, basic photography and a guide school. Most of my guiding services take place in the Brooks Range, Arctic Alaska, and few of them in the southern part of the state. Generally speaking, Alaska is the wildest and most pristine place I have ever been to – and also the one with the harshest conditions. In the backcountry, you must deal with bear encounters, difficult stream crossings and extreme weather conditions; however, you are rewarded with equally astonishing experiences. This is especially true in the Brooks Range, which offers hundreds of options for all kinds of wilderness travels as I found on my 500 kilometer journey from the Dalton Highway to Kaktovik in summer 2012 and on numerous occasions in 2013 and 2014. In the long run, Freedom Trips will offer guided expeditions in several places all over the world. I want this business to expand and grow in different environments, providing high quality guiding services for all kinds of people. At the same time, the focus will always be on exclusive wilderness travels in remote areas – primarily because it promises a high level of adventure and excitement for both clients and guides. I’m excited about the future and curious to find out where guiding will take me. If you are interested in being guided by me, please visit the Freedom Trips website or contact me, whether you are thinking of a short weekend trip or a multiple week expedition. I can’t think of anything better than exposing the exceptional beauty of the places I have traveled to with others and share the inspiration I have aquired over the years.